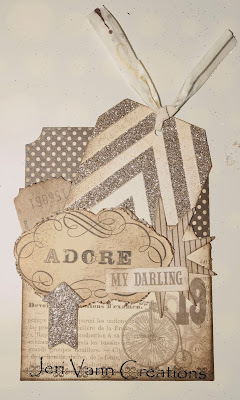 Glitter and Antiques... Two of my favorite things in life. With Brown Ink, rub the ink pad on the edges of all pieces. 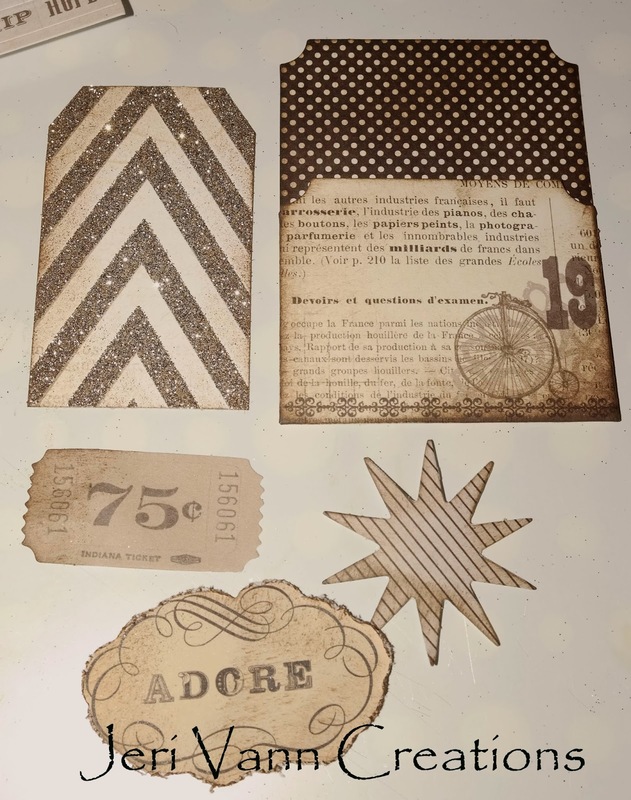 Use double sided tape and attach the chevron piece, the ticket stub behind it and the Adore piece on top of the star. 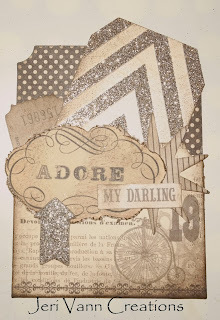 With the Antique Sticker ‘My Darling’, place this on top of the Adore piece. 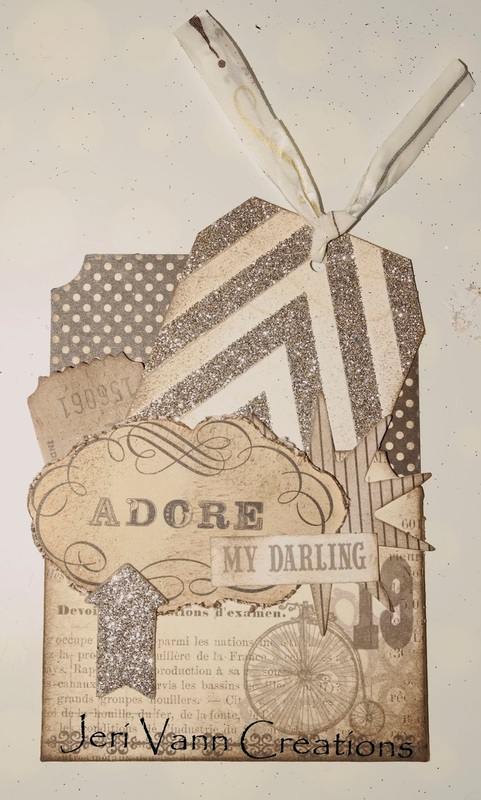 Place the silver glittered arrow on the bottom of the Adore piece. 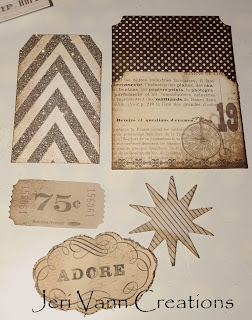 With this adorable Antique Decorative Tape, grab a long piece and fold it in half, so that you are sticking it together. This creates your ‘ribbon’. 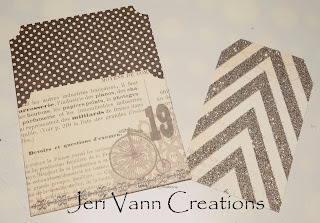 Punch a hole in the top center of the chevron piece and tie the Decorative Tape Ribbon through it. You now have a finished Adore Antique Gift Tag. 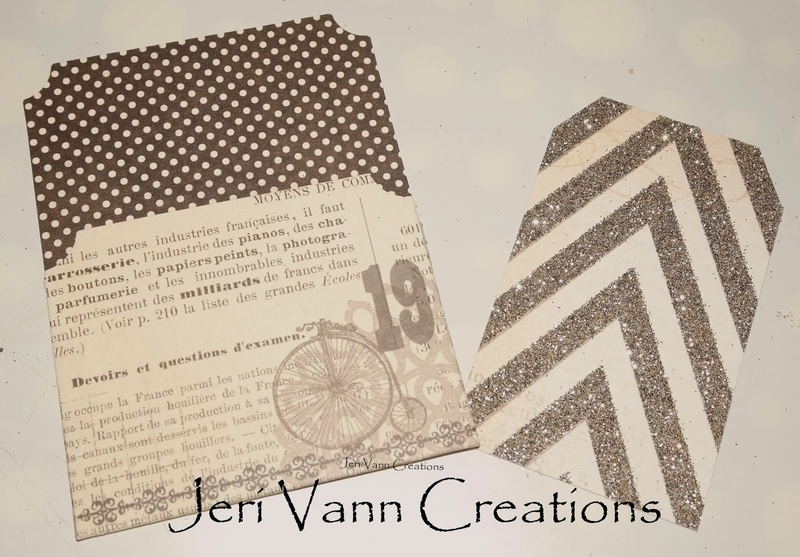 Thanks for sharing Jeri! 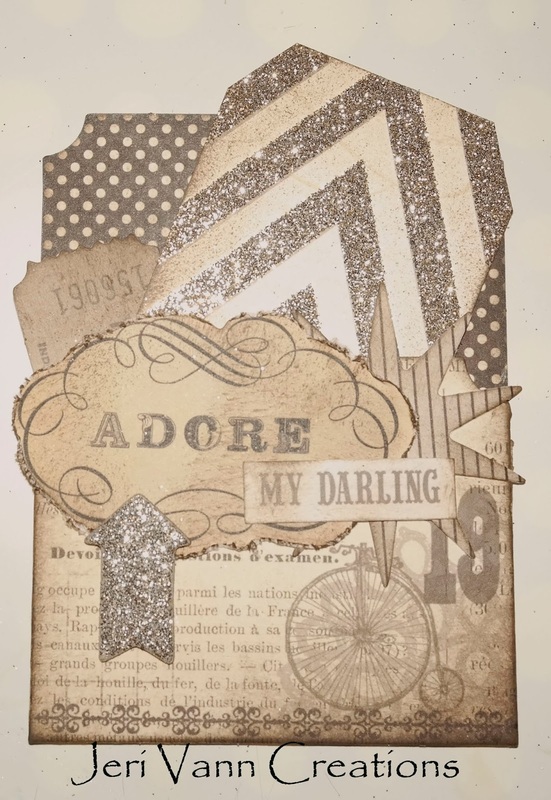 I love My Mind's Eye Glitter.